A PC generally refers to a computer that runs on the Windows operating system. It is also defined as an IBM-compatible computer, thereby meaning that its architecture is based on the IBM microprocessor. A number of different operating systems are compatible with PCs; the most popular of which is Microsoft Windows. Some others are the UNIX variants, such as Linux, FreeBSD, and Solaris. On the other hand Macintosh, commonly known as Mac, is a brand name which covers several lines of personal computers designed, developed, and marketed by Apple Inc. The Mac is the only computer in the world that can run all the major operating systems, including Mac OS X, Windows XP, and Vista. With software like Parallels Desktop or VMware Fusion they can be run; side by side. Macs and PCs both have dedicated followers, and each type of computer has its own strengths and weaknesses. Short form for “Macintosh” and refers to any computer produced by Apple, Inc. Refers to any computer running IBM-Based (Windows, Linux, Solaris, FreeBSD) operating systems. stands for "Personal Computer"
Computers start at $499 for the Mac Mini desktop, $899 for the Macbook Air notebook, and $1099 for the iMac all-in-one. Other models are more expensive. For desktop or home use Macs are generally expensive than a PC. Compared to a Mac, Windows and Windows-associated hardware is cheaper, and you can build your own for even less money. Comparable computers running Windows can be found around 40% cheaper than a Mac. Apple Inc Several companies: HP, Toshiba, Dell, Lenovo, Samsung, Acer, Gateway etc. Macs are developed and distributed by Apple Inc. PCs are manufactured and distributed by hundreds of manufacturers. Apple, Inc. Microsoft (Windows), Ubuntu (Linux), Sun (Solaris), etc. Not as many games are made natively for the Mac, although in recent years, many more applications are released for them. The App Store is a hub for users to download games from. The library of games available for the PC is exhaustive, and hardware specifically tweaked for gaming performance is much more readily available for Windows. The array of graphics cards and upgradability also favor Windows-based computers. Multilingual Must purchase a different OS Version, but has multiple languages available. Unix-like (BSD>Darwin>Mac) Windows, Linux, Solaris, FreeBSD, etc. Can open almost all PC files and can coexist on local networks with PCs. Can open .doc, .exe (as a compressed bundle), .xls, and others. Software exists for other file types. Can also run Windows on a Mac for 100% compatibility. Mac-based files (.DMG) cannot be opened on PCs natively, but you can install software that can read, and possibly write Mac-based files on a PC. Attracts graphic designers, video and music producers, tech journalists, app developers etc. Wide reach to all stratas. Business users tend to use Windows hardware due to compatibility. Since Macs are not as popular as PCs, there are fewer malware written to target Macs, although the threat of malicious software is growing, like from Java. Being the popular desktop choice, most virus writers target Windows systems, however, Linux often has less malware. Any knowledgeable person can perform repairs and upgrades. Local computer-help stores can also be contacted for repairs. AppleCare can extend the warranty. Newer Macs are becoming less upgrade-friendly, though. Any knowledgeable person can perform repairs and upgrades. Local computer-help stores can also be contacted for repairs. OEMs and component shops provides limited warranty. Same as gaming, limited choice due to user range. Same as gaming, excess choice due to user range. Activation is not required, can reinstall as many times as needed. Windows has a unique activation key for each package distribution, and lots of custom and OEM PC appears, so genuine checking become important. Linux, Solaris, FreeBSD is free and no need for those keys. The Mac operating system — earlier called OS X and now renamed macOS — has traditionally been viewed as more stable than Windows. The main reason for this was that Apple produces both the hardware (Mac computer) and the software (Mac operating system); so they have better control over the integration of the entire system. Apple is also known to use only the best parts for its computers. Since the Windows operating system can run on hundreds of different types of computers, variations in hardware configurations within those computers can cause stability problems. There are dozens, if not hundreds, of PC manufacturers and so there is a wide variety in hardware quality of PCs. Another reason for Macs being traditionally more stable is that since PCs are the more popular choice in the desktop market, most hackers and computer virus makers target PCs. As the popularity for Mac computers increase, it can be expected that the incidence of hacker and virus attacks will increase. It should be noted that you can run Windows on a Mac but cannot run macOS on a PC. Apple has also released a software kit called Bootcamp for running Windows on the Mac. Other software virtualization applications used to run Windows on Macs include Virtualbox and Parallels. Another factor contributing to a better user experience on the Mac is that there is no software cruft i.e., there are no third-party applications that are pre-installed on your Mac. PCs usually come with several 3rd-party apps pre-installed. For example, antivirus software from McAfee or Symantec, or DVD reading/writing software. Some of this software can be downright dangerous for the security and privacy of the user; case in point: Lenovo's Superfish scandal. Interestingly, this feature of Apple devices also applies to the iOS vs Android debate; Android devices ship with "crapware" (3rd party applications that many people don't ever use) while iPhones and iPads ship only with Apple software. The most noticeable difference between Macs and PCs is in the user interfaces. While many computer users will proclaim one or the other “superior” or “best,” this is ultimately a matter of personal preference. Highlights of the UI in Mac OS X include Launchpad (a screen full of app icons for easily launching your favorite apps), hot corners that can be customized for various types of views, a "dock" that has icons for your favorite apps, full screen mode for apps, and "spaces" that create as many desktops as you like so you can minimize clutter. With Windows 8 UI highlights include a touch-friendly "metro" interface that contains "live tiles", rectangular boxes of varying sizes on the screen that represent an app and get refreshed with the latest content from the app. Several apps utilizing the "metro" interface are full screen apps like in tablet computers. Macs have a reputation of being more secure than Windows PCs. In the 90s and early to mid-2000s, Windows was plagued with adware, malware and viruses that were mostly a result of users downloading compromised software, opening malicious email attachments or other malicious files downloaded from the Internet. Macs had a lower market share so malware-makers and distributors focused on the Windows platform. Today the situation is not so lopsided. Windows security and Microsoft's Defender anti-virus program have made great strides and made Windows a safe platform. Macs have had security problems of their own, like the admin login vulnerability discovered in November 2017. And because of the growing popularity of the Mac platform — especially among high-value targets like computer programmers — malware-makers are increasingly homing in on Macs as targets. Irrespective of whether you're on a Mac or PC, it is not advisable to open files from unknown sources or any files downloaded via email or on the Internet that seem suspicious. If you're on Windows, it is further recommended to not use anti-virus programs other than Microsoft's Defender because they introduce security vulnerabilities of their own. Mac computers are most widely used in the creative professional market, including in journalism and desktop publishing, video editing and audio editing, but have also made inroads into the educative and scientific research sectors. Macs are also popular with computer programmers — a majority of web and app developers tend to use Macs. 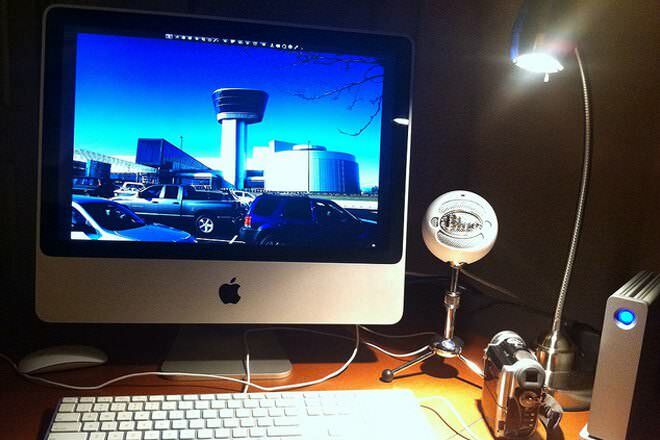 PCs are also used with some of the video and audio editing and research purposes but are found largely as the Home or Office Computer. 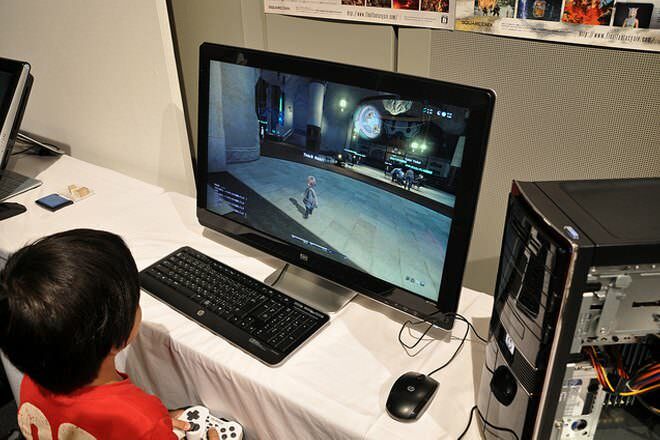 PCs are also widely used in gaming due to a wider variety of games available for the Windows platform. PCs and Macs can usually share peripherals if they connect via USB, FireWire, or Bluetooth, three industry standards available on every Mac. Most popular applications for Mac and PC use the same file formats, making it simple to exchange documents with friends and coworkers or move existing files from a PC to a Mac. Macs major applications include Ilife and Time Machine while the PCs most widely used application includes MS Office. Some popular games provided on a Mac are Mac Crack Attack, 3D Klondike while on PC are Solitaire and Virtual Pool. There is a variety of software available for PCs, which are better than a Mac machine for use as gaming machines since most high-end games are created for the general PC. PCs and Macs can usually share peripherals if they connect via USB, FireWire, or Bluetooth, three industry standards available on every Mac. Most popular applications for Mac and PC use the same file formats, making it simple to exchange documents with friends and coworkers or move existing files from a PC to a Mac. Traditionally PCs have had the upper hand when it comes to gaming because more publishers developed games for the PC platform. Dollar for dollar, PCs have also provided more powerful processors and speed is an important criterion when it comes to gaming. Some popular games that are available only on PCs are Age of Empires III and Crysis. Games that have both Mac and PC versions include Call of Duty 4: Modern warfare, Guitar Hero III: Legends of Rock, Lego Star Wars II, Starcraft and World of Warcraft. Microsoft Office, Adobe Creative Suite & Cloud are available for both Windows and Mac platforms. Other productivity software like OpenOffice and StarOffice is also available for all platforms. Apple's iWork office suite, which includes Pages (word processor), Numbers (spreadsheets) and Keynote (presentation maker) are only available on the Mac and iOS platforms. Macs were hugely popular when the Macintosh was introduced in the mid-80s. They pioneered the GUI and the mouse. With Windows 3.1 and the wildly popular Windows 95, Microsoft gained a large market share. In the 1990s, Windows grew by leaps and bounds and Apple went downhill. After Steve Jobs was brought back to Apple, he introduced the iMac and revived Mac sales. Microsoft bought a 5% stake in Apple with a $150mn investment in non-voting shares in 1997. Apple's Macs have always had a small but passionate fan base. In 2007, Apple released Mac vs PC ads showcasing the “cool” factor of Macs. These have been parodied online, often with a 3rd character (a woman) for Linux. In September 2008, Microsoft responded to the Apple campaign with a campaign of their own to break the PC stereotype. By installing software like Boot Camp, or a virtualization solution, such as Parallels Desktop, a Mac can function like a PC machine. In other words, a MAC can run Windows on it. Apple does not allow the use of its operating system on non-Apple hardware. So a Windows PC cannot run Mac OS X. However, the Hackintosh project allows users to run Mac OS on any supported Intel-based PC. The MacBook Air starts at $999, whereas the MacBook Pro costs $1,199 and up, depending on the model. See MacBook Air vs MacBook Pro and MacBook vs MacBook Pro. Current prices of various models and accessories are available on Apple.com and on Amazon.com. PCs usually cost significantly less than Macs with comparable hardware. This is mostly because PCs are manufactured by a large number of hardware manufacturers, resulting in increased competition and lower prices. A wide selection of PCs with varying costs is available on Amazon.com. lol only the mac ads were removed,apple..tsk tsk tsk.. they would do that. Apple products running the apple OS cannot access any server or print from any printer. Please be careful in your statements that could be contrued as misleading. It is easy to see that you are defense for Apple, and you statements tend to lose merit by having no subjectivity. While it is technically possible to install a dual-boot Windows or even run some Windows applications from an Apple computer, this is not routinely the case especially in a business environment. This "dual-boot" scenario also introduces its own unique set of problems. Pc's can run OSX. Although it breaks an agreement with Apple when using it. But this can be avoided just by placing the included apple sticker on the back of the unit. Hmmm.... think the author has a Mac... clearly missed out the key positives of the PC... upgradability + choice!